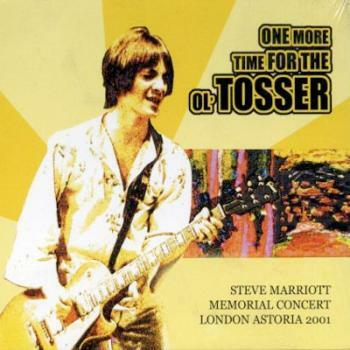 (December 2001) Steve Marriott Memorial Concert - new CD! 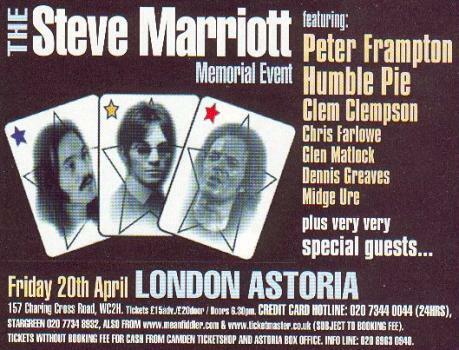 Highlights from the Steve Marriott Memorial Concert in London earlier this year is scheduled for release as a single CD in April 2002. 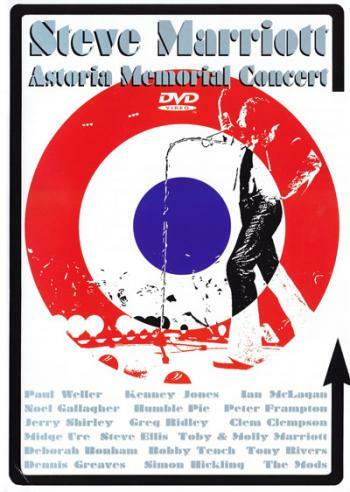 This will be followed at a later date by a boxed set that will include the whole three hour concert with a book and interviews with the participants. A video or DVD is still possible but may not see release until 2003. At the time of writing it looks like the single CD will include the following songs with Steve Ellis on lead vocals: "Song Of A Baker", "Afterglow", "My Way Of Giving", "Tin Soldier" and "All Or Nothing". More details to follow! (October 2001) a German Love Affair re-issue single coupling "Everlasting Love" with "Yellow River" by Christie on the B-side has turned up. Added details about Swizz rockers The Foolhouse's 1993 cover version of the Widowmaker 'classic' "Pin A Rose On Me", co-written by Steve Ellis. 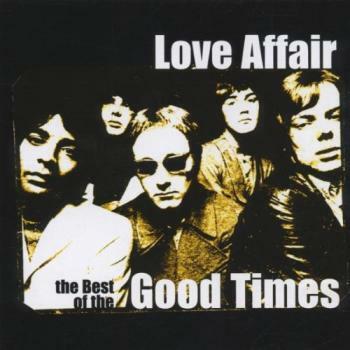 LOVE AFFAIR - "The Best Of The Good Times" - new compilation CD! (September 2001) STEVE ELLIS - "Edinburgh Live '95" - new CD! (August 2001) Added a Love Affair "One Road" EP from Singapore with picture sleeve, plus an illustrated Morgan discography (the group). Tim Staffell - new solo album! Tim (of Morgan-fame) is busy recording tracks for a forthcoming solo album, and helping him out in the studio is Andrew Staffell (drums, programming), Richard Lightman (guitar, bass, production - he used to play with Staffell in Tailfeather), John Webster (guitar), Chris Smith (guitar - he was part of Smile for a while) and Peter Hammerton (guitar). New versions of "Earth" previously recorded by Smile and Morgan, and "Doin' Alright" recorded by Smile and Queen will be included on the new album, as yet untitled. Lynton Guest interview! Lynton discusses his career, past and present in this exclusive interview. The Steve Ellis discography is finally completed and now includes the bands Ellis and Widowmaker! 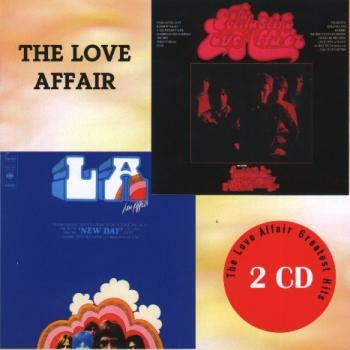 Added more Love Affair cover versions as well. 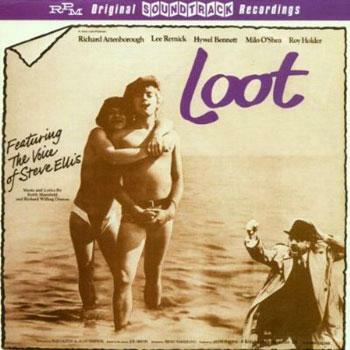 (July 2001) STEVE ELLIS - "Loot" soundtrack - new CD! (June 2001) added Love Affair sheet music for "Rainbow Valley"
Added Italian Love Affair "A Day Without Love" picture sleeve single, plus a 1968 Cashbox promo ad for same. (May 2001) updated the Phillip Goodhand-Tait discography with a German picture sleeve single ("He'll Have To Go") and added Holland Love Affair picture sleeve singles for "Rainbow Valley" and "Bringing On Back The Good Times". 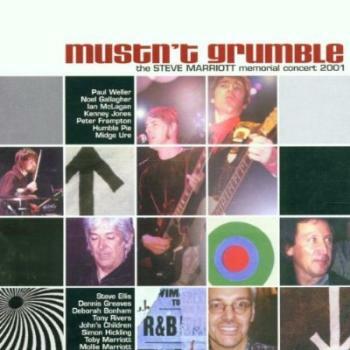 (April 2001) Steve Ellis was one of many highlights at the Steve Mariott Memorial Concert in London on 20 April 2001. Click here for concert review! Added German Love Affair picture sleeve single of "Everlasting Love" 1972 re-issue, plus a set of autographs from 1971. (March 2001) added Danish Love Affair "She Smiled Sweetly" picture sleeve single. Quite possibly the rarest of all Love Affair picture sleeve singles! A German "Rainbow Valley" picture sleeve single plus details of a second LP by an American group called Love Affair is also added, alongside a second Michael Jackson interview from 'This Is Bradford & District' online magazine. (February 2001) updated the Phillip Goodhand-Tait discography with details of his own version of "Gone Are The Songs Of Yesterday" from 1967! Also added a couple Goodhand-Tait picture sleeve singles, a Polish Love Affair "Build On Love" EP from 1969 (filed under "Rainbow Valley") and more Love Affair cover versions. Plus a Steve Ellis ad for his "Evie" single and Love Affair sheet music for "Everlasting Love". 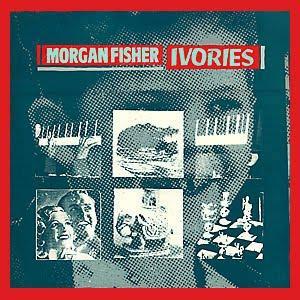 MORGAN FISHER - "Ivories" - first time on CD! Angel Air re-issued Morgan's first solo album on 05 February 2001. "Ivories" (Angel Air SJPCD072) was recorded in 1972 at RCA in Rome at the same time as the "Nova Solis" album by Morgan, the group. At the time the record company thought it was too avant-garde and it wasn't released until 1984. This is its first outing on CD, and it comes with an informative 12-page booklet with Morgan's own sleeve notes. Added Holland Love Affair "Everlasting Love" picture sleeve single (1972 re-issue), and a 1999 Mick Jackson interview discussing the "No Strings" album. STEVE ELLIS - "The Last Angry Man" now available on CD! Are you looking for information about Maurice Bacon's Ultimate Records? Try this link! Not sure how long this address will work though, since the label is no longer in operation, Maurice tells me. He has now re-launched Strike Back Records, and they will release a new album with Senser soon. Maurice is also managing the Mediaeval Baebes - be sure to check them out! [30 January 2001) Added a guestbook, and the lyrics to "Everlasting Love" due to popular demand! I have also added a page about other artists who have recorded Love Affair songs.